Food is awesome decor, a little dated! I love the Bonwit Inn. I go there often; my favorite is the seaffod strudel. Everybody that I have turned onto it loves it as well. I went for the Sunday brunch with a very large party. They were accommodating in getting our party of 20+ all together, which was great. It took them a while to bring all of the correct drinks that were ordered (you get one free mimosa or bloody mary with brunch), but they eventually arrived. The selection and quality was good, but navigating to the service tables for brunch was quite cramped. The bill turned out to be very, very steep, as well; we ended up around $30-40 per person, which is pretty darn high for brunch. 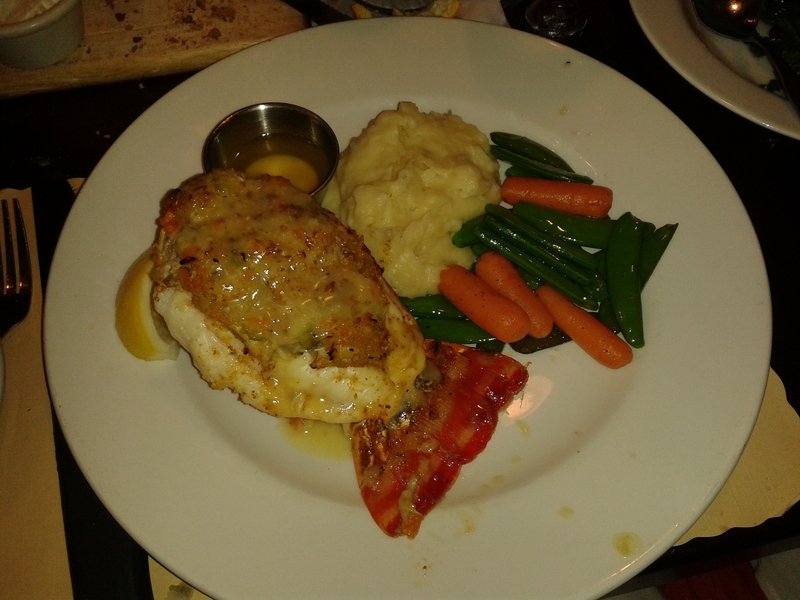 Enjoyed a nice size lobster tail with crabmeat stuffing. The stuffing was really good, not to much breading, the garlic mashed potatoes could have been more flavorful. All in all it was a good meal.